Although I love makeup and the process of putting it on, I definitely love sleep a lot more. A LOT more. 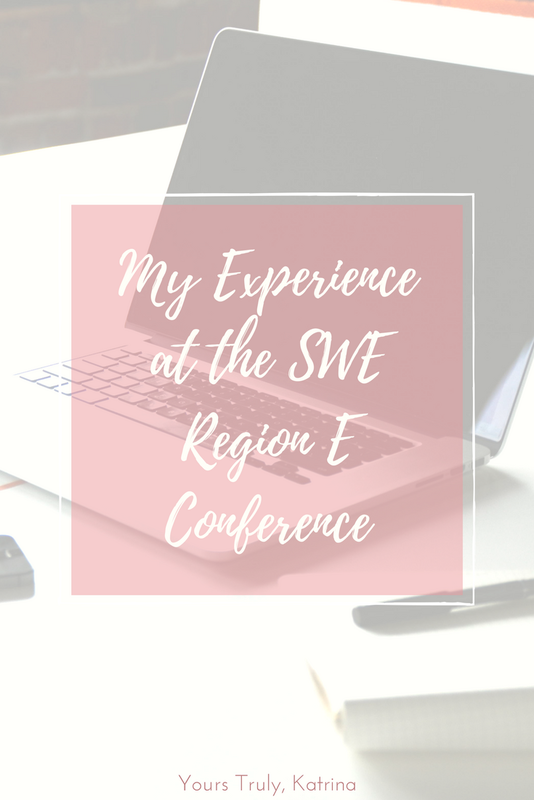 Therefore, I often find myself rushing through my daily makeup routine to get to my morning class or the office on time, and have come to trust a handful of beauty products to get a presentable makeup look in the shortest amount of time possible. 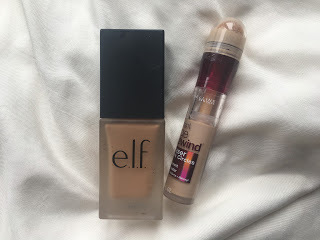 These are the products that I swear by – if I am wearing makeup, you can guarantee that I’m wearing all of them! I was never big into wearing foundation until I picked this up; this foundation is such a gem, and I am so glad I found it! It is long-wearing and evens my skin tone beautifully without feeling cakey or heavy. I’ve found that dabbing this onto my face and blending it in with a beauty sponge gives me the best results. After watching rave review after rave review of this concealer on YouTube, I had to try it, and it is the best concealer I have tried so far. It gets rid of my under-eye circles & bags without drying out my already-dry skin. I highly recommend this if you haven’t tried it yet! 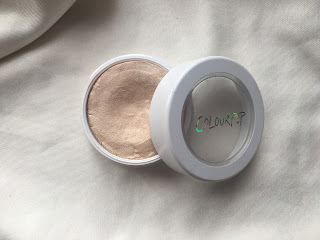 I love ColourPop highlighters because they are so low-maintenance; just dab on with your fingers and go! This color in particular gives the prettiest light-gold sheen on the cheeks, and I even use this as eyeshadow sometimes too. This mascara is quick and easy to use, and gives me just the right amount of definition. I’ve always been bad at making my eyelashes look long and voluminous (I was blessed with short & straight lashes! ), but this mascara does a pretty nice job of making them look less stubby. 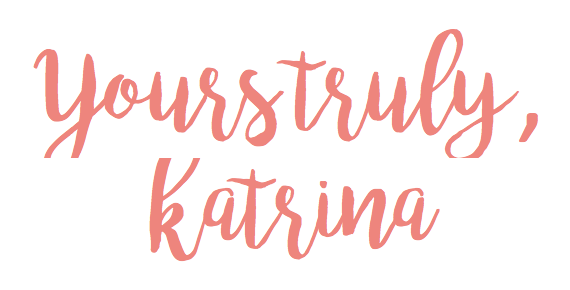 Best black pencil eyeliner on the market right now – it doesn’t budge from my water line, has such great color payoff, and doesn’t irritate my eyes at all! If I only have 5 minutes to do my makeup, I hands-down prioritize foundation, eyeliner, and eyebrows. This eyeliner is a fool-proof way to create any eyeliner look, whether it is a little flick for the office or a blown-out wing for an event. I’m positively obsessed with this eyeliner, and I’m going to keep repurchasing it for years to come. I used to use the NYX Microbrow Pencil, but I felt as though I went through it too quickly. 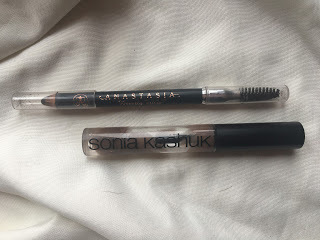 I received the ABH pencil for my birthday, and I’ve been using it ever since. This brow pencil is a little too red for my liking when I go even the slightest bit heavy handed, but it does a great job of providing an outline for my brows to fill in with powder. If you have any eyebrow pencil recommendations, please let me know! This product does its job really well, and I use it without fail every single day. 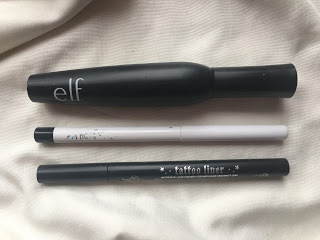 I typically use it to “prime” my brows so that they are relatively tame before I apply pencil/powder to them, and then set my work after my brow routine. 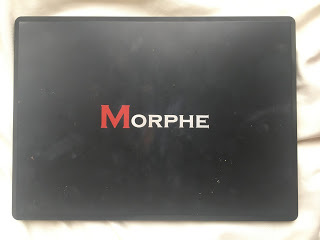 Ever the cult-favorite, I picked this up when I visited the Morphe store in August, and it is honestly the best purchase I made while in the Los Angeles area. It’s perfect for literally any occasion, and I am always using it. 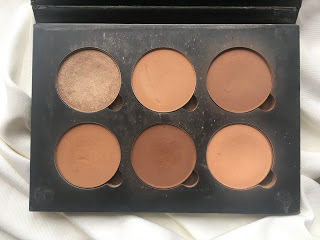 I don’t typically do much in terms of eyeshadow when I am in a rush, so I will use the neutral-peachy eyeshadow in my crease to give me a little bit of dimension and run the dark brown eyeshadow through my eyebrows. 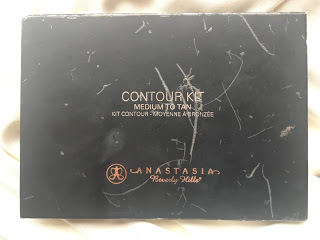 I definitely do not contour my face on a daily basis, but I do use this palette every day (as you can tell by how beat-up mine is)! I use the Peaches & Cream shade (second row, third column) to set my under-eye concealer, and it does a great job of brightening the area and eliminating creasing. 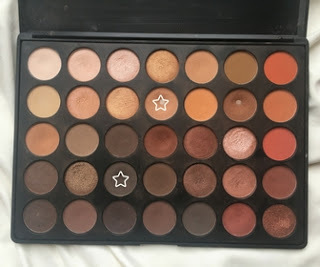 I also use the bronzer shades as eyeshadow to mix up my routine every now and again! 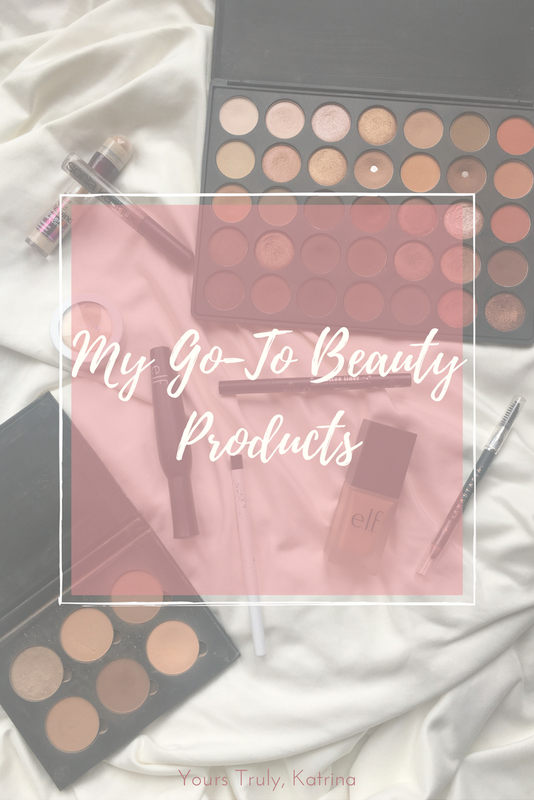 What are your go-to beauty products? Do you prefer high-end or drugstore makeup? Let me know in the comments below! 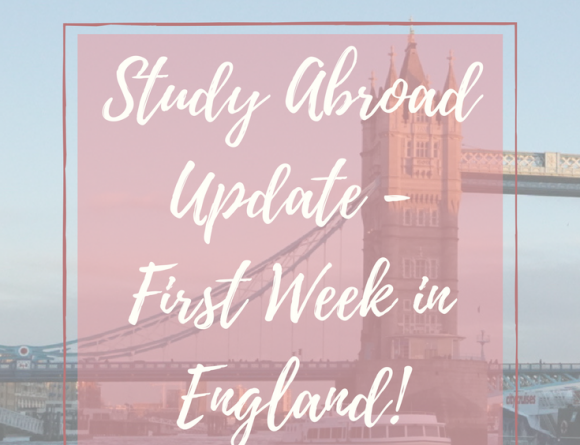 Study Abroad Update – First Week in England! 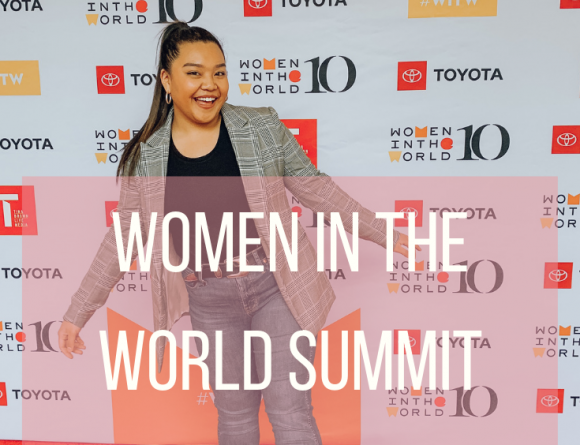 Women in the World 2019 – Can We Save the World?